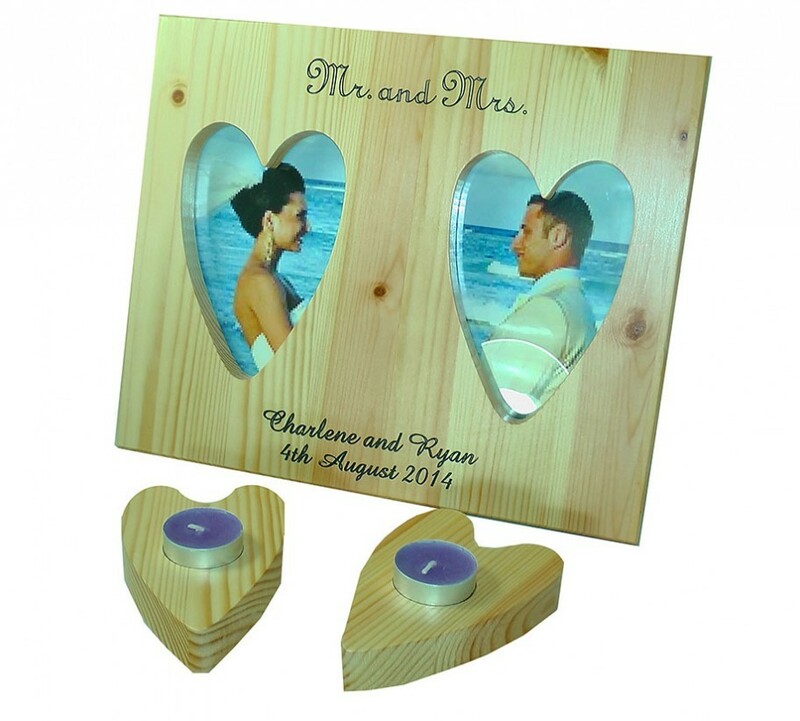 The Wedding Mirror is a hugely popular gift for couples marking their wedding or anniversary. 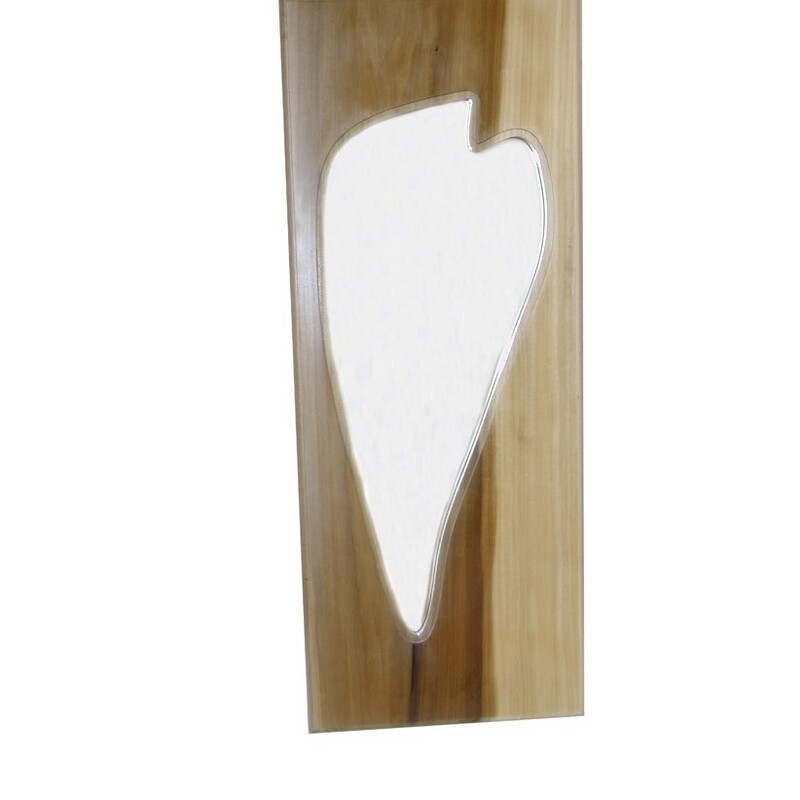 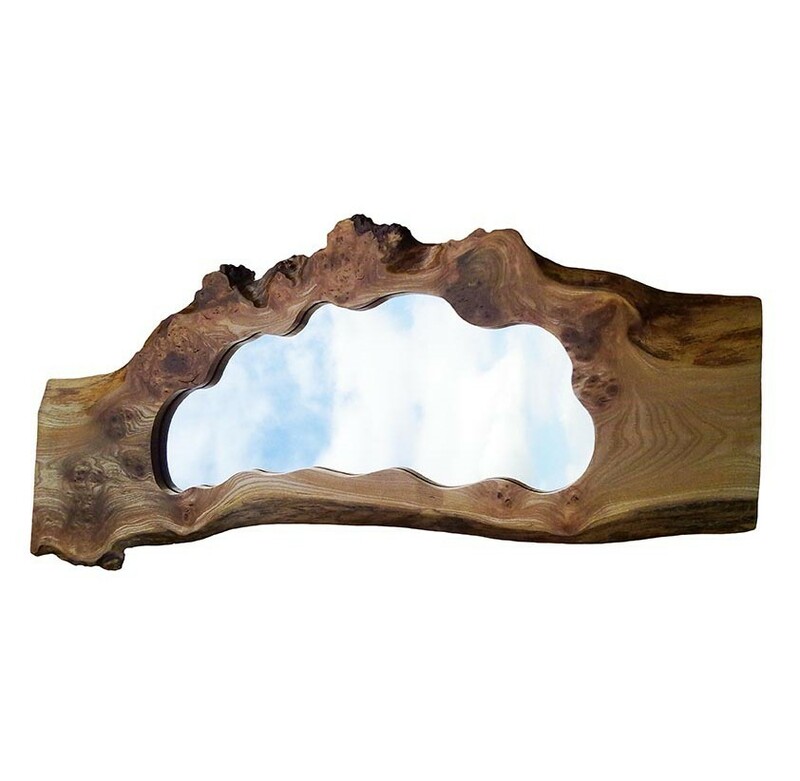 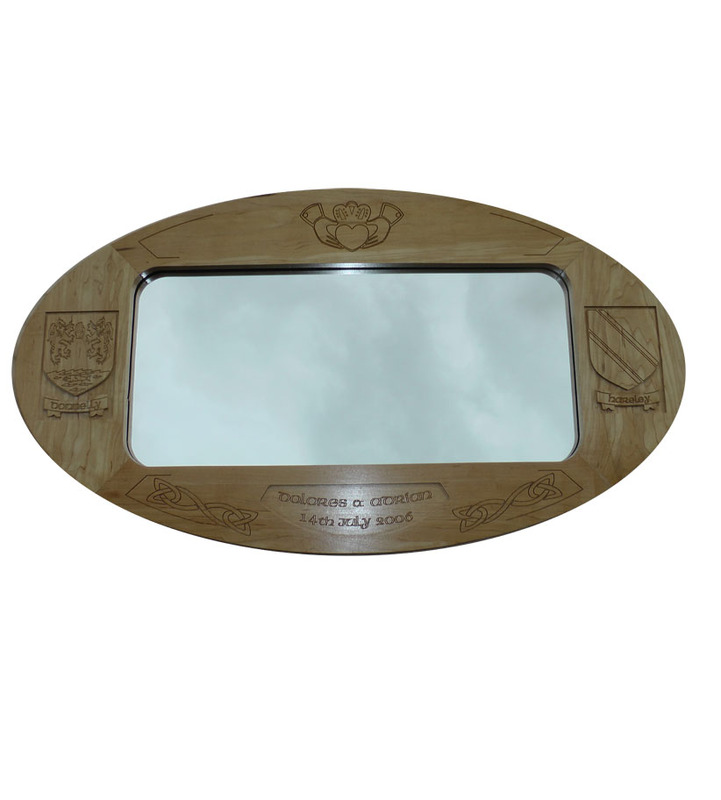 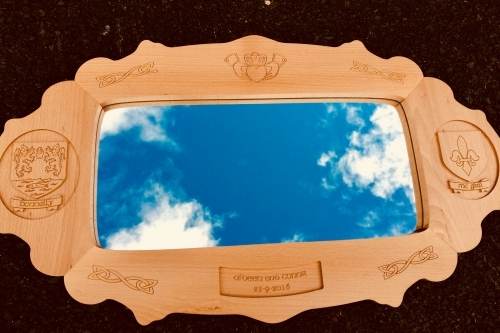 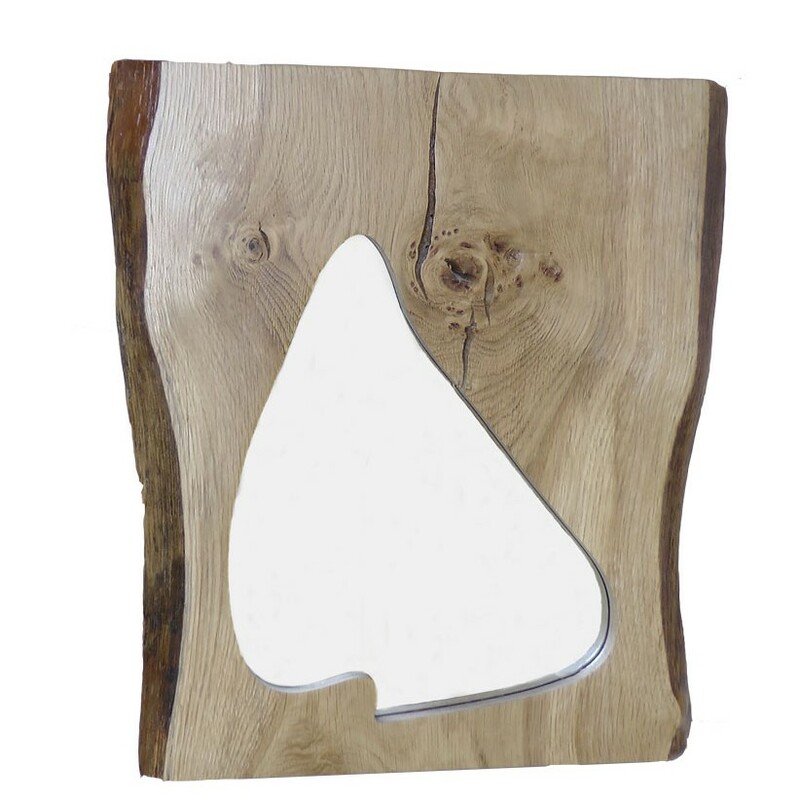 The Contemporary mirror is oval carved into native Irish Beech and depicts both family names, the claddagh and wedding date. 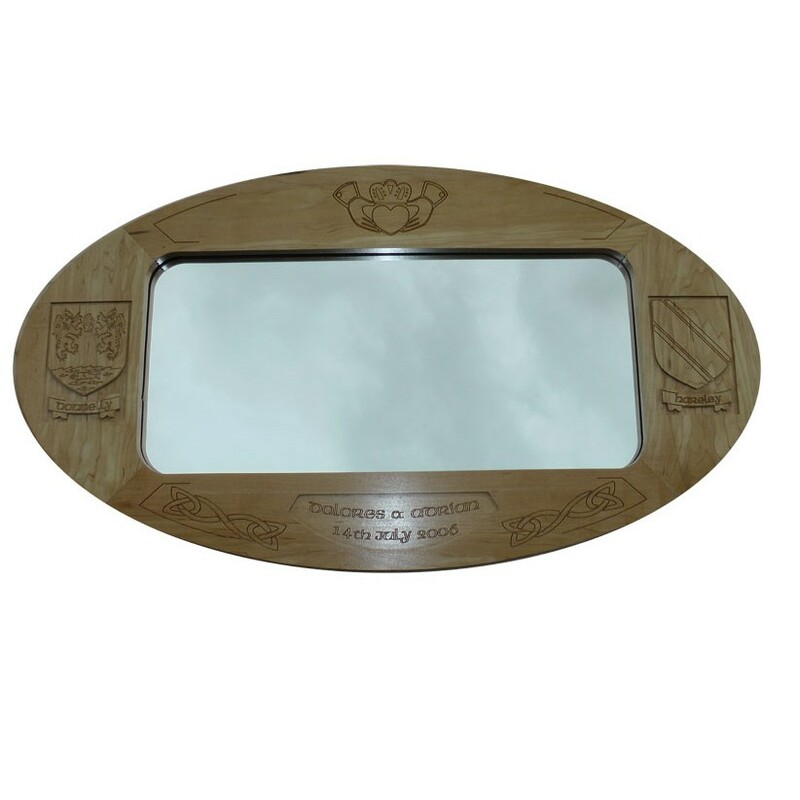 The Traditional curves in the larger mirrors offer a more ornate finish to this product.